In this new article series, Bond Lifestyle takes a closer look at the 'Made in Britain' products used by Bond in the films and Ian Fleming novels. In this episode we ask James Cook, Turnbull & Asser’s Davies Street store manager, about the production of Turnbull & Asser shirts and ties seen in many James Bond films. 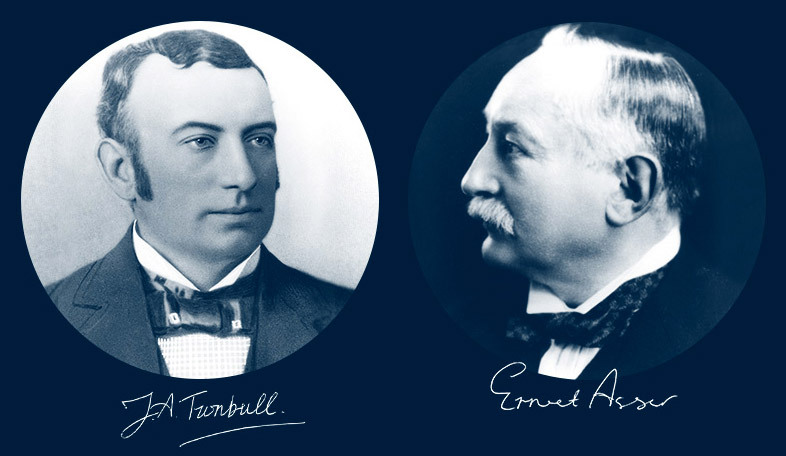 Can you tell us about the history of Turnbull & Asser? John Arthur Turnbull and Earnest Asser established what later on became known as Turnbull & Asser in Church Place in 1885. After John died a decade later, Earnest took over and moved the ready-to-wear and bespoke business to Jermyn Street and Bury Street respectively, and the stores remain there to this day. 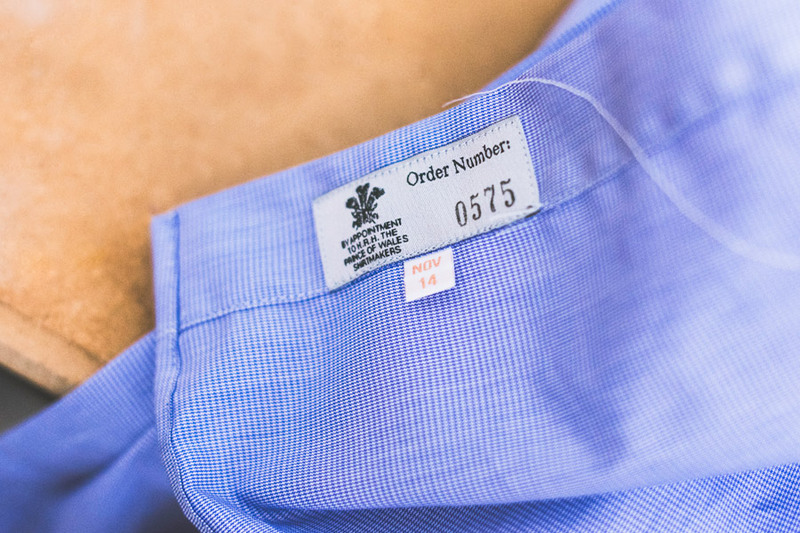 Turnbull & Asser was first awarded a royal warrant in 1919 as HM Queen Alexandra’s glovemaker; however their long-standing royal warrant for shirtmaking was granted in 1980 by HRH Prince of Wales – the first warrant Prince Charles ever gave. This is currently held by retail director and head of bespoke Steven Quin. The brand opened its first New York store on East 57th Street in 1998, with a second NY location opened earlier this year in the Oculus building of the Westfield World Trade Center. A third London store was opened on Davies Street, Mayfair in 2015. What does Made in Britain mean in the case of Turnbull & Asser? Are Turnbull & Asser shirts and ties completely made in Britain? 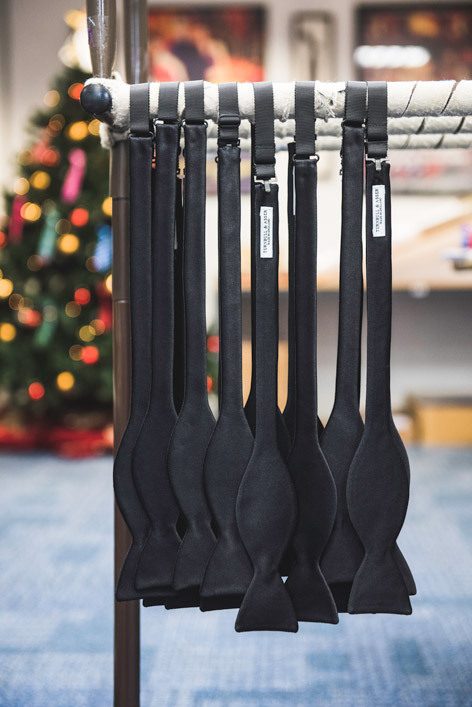 James Cook: "Made in England means that the product has been cut and sewn in our workshops using the vast skill set and experience from our skilled workforce which is second to none. 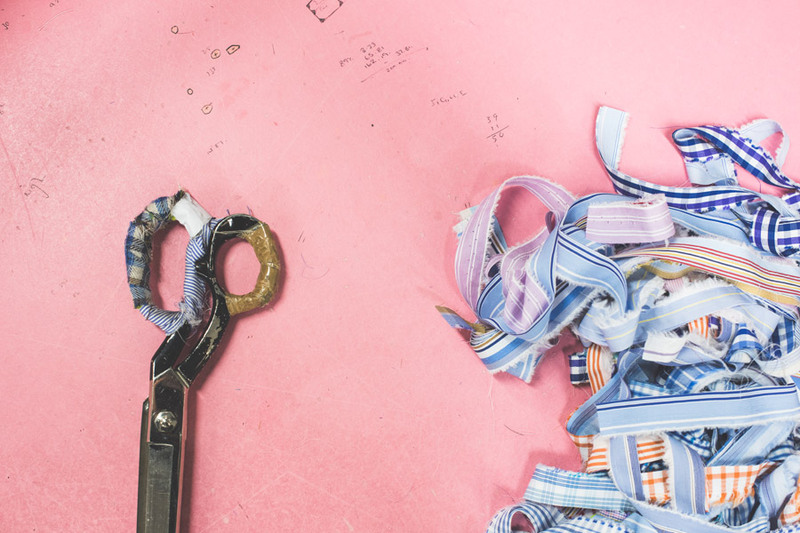 Our shirts and ties are hand-crafted in our factories in Gloucester and Kent respectively. Our pocket squares are designed by us and printed by Adamley Textiles in Cheshire." 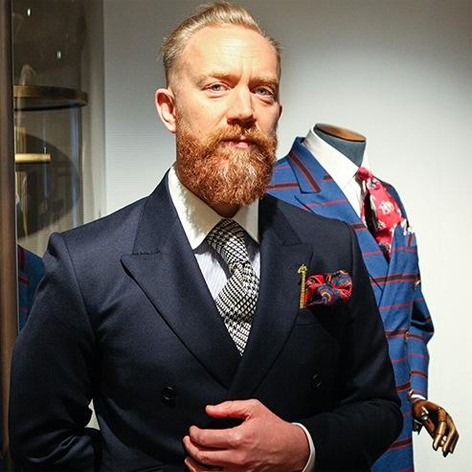 Dean Gomilsek-Cole, head of design at Turnbull & Asser: "There is a certain reputation associated with products that are made in England because of the high standards demanded in the industry. Everything is much closer to home; manufacturers can get in direct contact with designers to keep the communication clear and the quality consistent, and many of the craftsmen and women in our factory have worked with us for generations. T&A also has long-term relationships with its mills and printers meaning all the work is personal and there is no dubious practice going on. 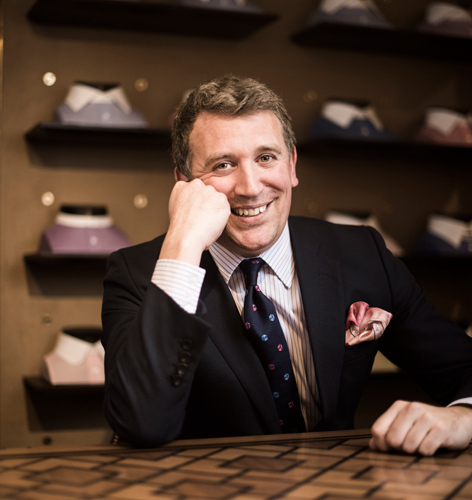 Secondly we have a very strong sense of pride at Turnbull & Asser; as an English company we see every shirt as an ambassador for both the brand and the country so they must all be perfect." Where is the Turnbull & Asser factory located? 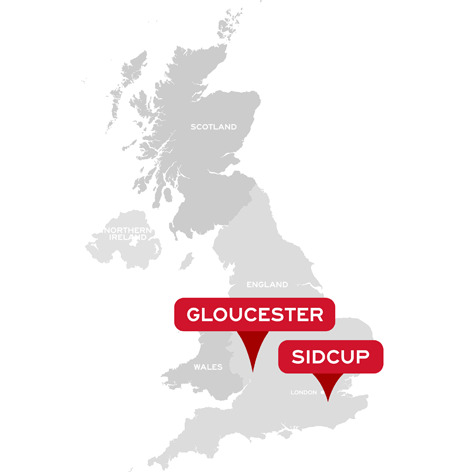 Our shirt factory is located in Gloucester and our tie factory in Sidcup in Kent. 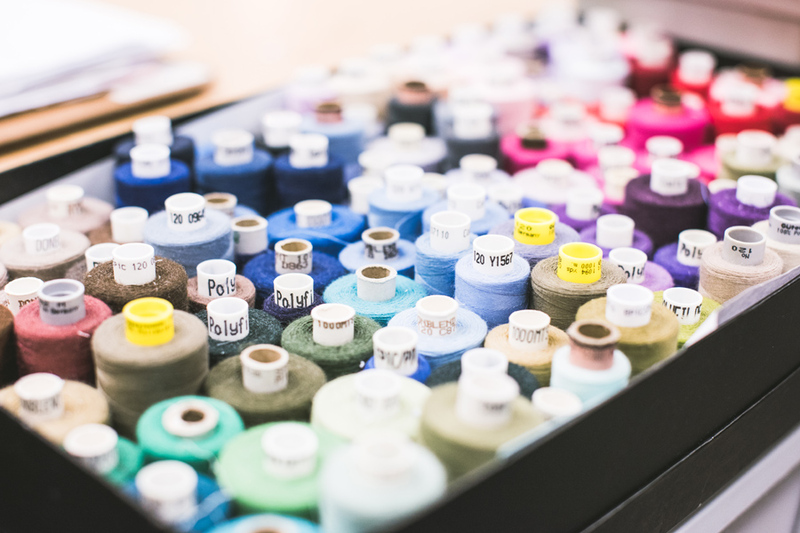 In the shirt factory we produce ready-to-wear and bespoke shirts, we also make pyjamas, cotton gowns and boxer shorts. The tie factory produces bespoke and ready-to-wear ties. How many people are working at Turnbull & Asser? Around 100 people work in our shirt factory, and about 15 people work in our tie factory. How did Turnbull & Asser get involved in the Bond films? Turnbull & Asser had a customer called Terence Young who was an ex Irish Guards Officer and was the first Director of the Bond franchise in film. As you will be aware, Ian Fleming mentions that Bond bought his shirts from Jermyn Street but he never mentions the shop. Terence Young brought a young Sean Connery to the store to be fitted. In which Bond films can Turnbull & Asser products be seen (this can be a list, do you have any information on the exact products seen in the Sean Connery Bond films? And did Brosnan wear Turnbull & Asser shirts in his films, or only T&A neck ties? To date Turnbull & Asser has dressed James Bond in twelve of 007’s screen adventures starring Sean Connery, Timothy Dalton, Pierce Brosnan and Daniel Craig. Alongside the iconic Dr. No shirt, Sean Connery wore a Turnbull & Asser black Barathea batwing bow with his tux in Dr. No (1962). Heirs to Sean Connery’s James Bond George Lazenby and Roger Moore were Turnbull & Asser customers but did not wear T&A as 007. 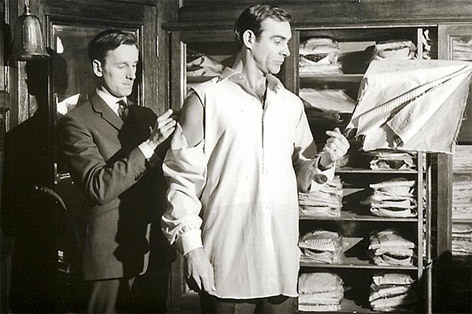 "We didn’t make bespoke shirts for Timothy Dalton’s Bond", says retail director and head of bespoke Steven Quin, "but I do remember him buying a quantity of ready-mades from (Turnbull & Asser’s store on) Jermyn Street at the time the Bond films were in production". Turnbull & Asser’s Davies Street store manager James Cook: "When Pierce Brosnan became Bond in he was clothed by the now defunct store Sulka. He returned to Turnbull & Asser when the Oscar-winning costume designer Lindy Hemming came back to what I believe is the home of Bond. She has a wonderful eye for clothing and she worked with her team and made the Brosnan films some of the most stylish. She knew that I liked Bond and she invited me to see the film Die Another Day being made at Pinewood Studios. I ended up being in the film which was in the ice palace. 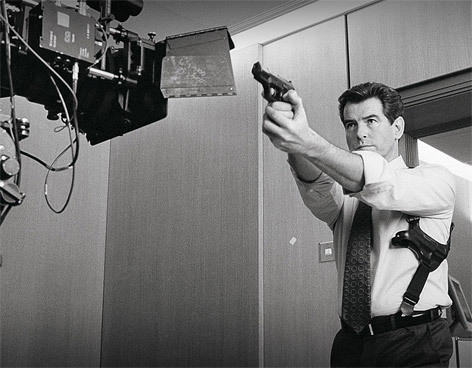 During filming, shirt specialist Mr. Paul Cuss flew to Ireland to measure and fit Pierce, and afterwards he was taken Pierce Brosnan’s favourite pub for a pint. 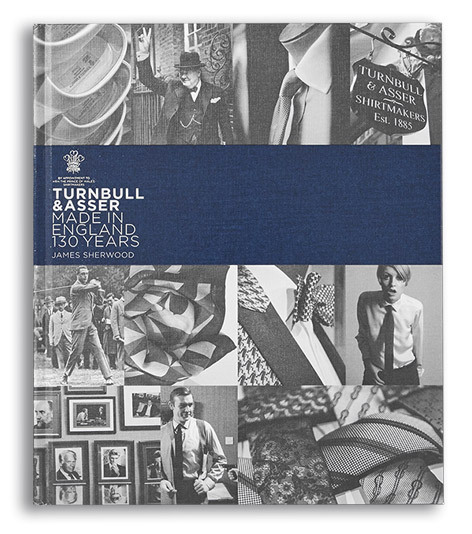 Turnbull & Asser has always has had a very close relationship with the film industry, as can be seen in our Turnbull & Asser Archive book." What makes the Turnbull & Asser shirts and ties stand out from its competition? Our shirts and ties use the finest materials. Turnbull & Asser has a vast historical archive of patterns and the colours we use are vibrant. Also the construct of our products is second to none. 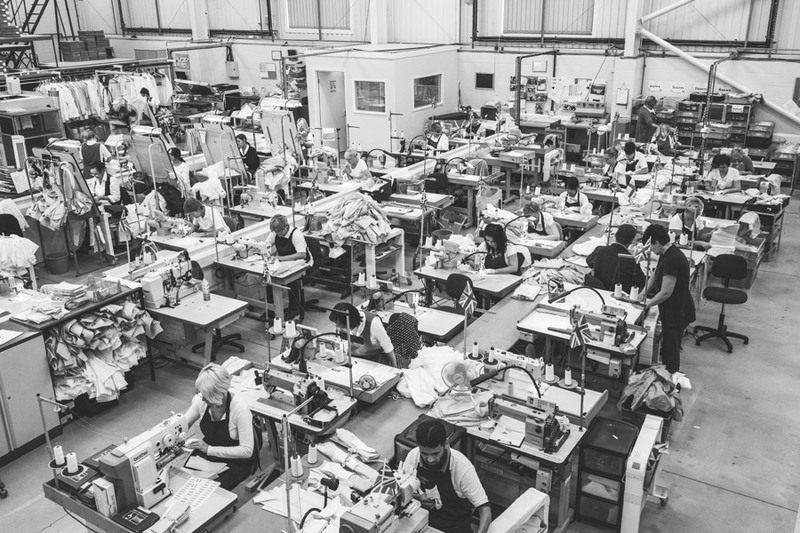 Our seamstresses and craftsman have decades of experience and a strict set of checks at each stage so that only the best make it into production. 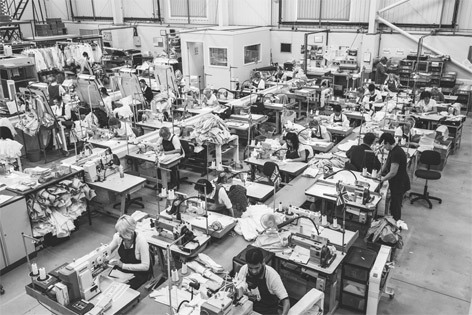 The advantage of producing in the UK is that when it comes to a luxury product is the history and expertise of the workforce and for our international customers is that we can produce a genuine product made in the UK. I would not call it a challenge; we train and develop skills, which takes time and we build on our past for the future. That is a very hard question as over the 26 films that have been made I have a few favourites: Dr. No, From Russia with Love, On Her Majesty’s Secret Service, Die Another Day (being in the film) SkyFall, SPECTRE. They are all from different eras - I like them all as they make Bond their own. 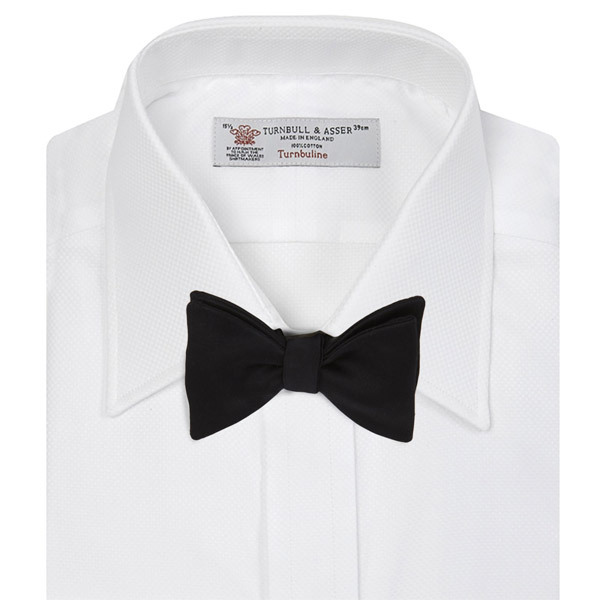 The Turnbull & Asser Legends collections is available on the Turnbull & Asser website. Bond Lifestyle wants to thank Turnbull & Asser for their participation. Stay tuned for the next episode of the 'Made in Britain' webseries!